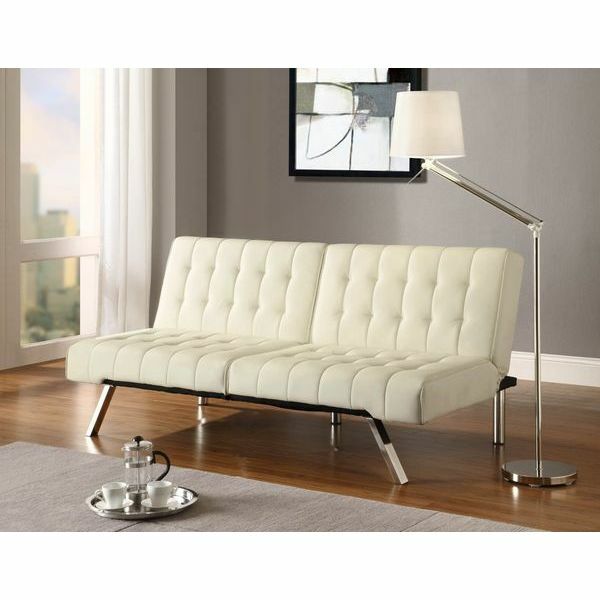 The Dorel Home Products Emily Splitback Futon is an ultra modern split back sofa that lets you adjust each tufted back cushion to an ideal resting position. You can also convert the futon to a bed by lowering both back cushions all the way. 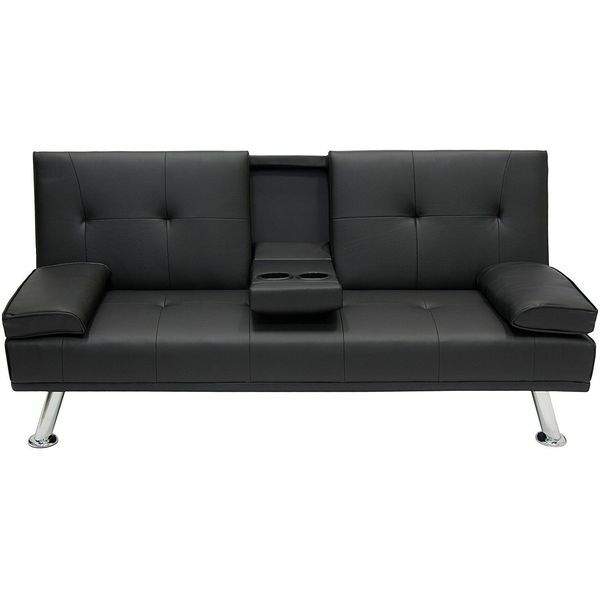 The design includes a sleek chromed base and exquisite vegan leather upholstery. Sleek polished steel meets chic black leather with stylish results in the design of the Hercules Lesley Series Contemporary Leather Sofa with Encasing Frame. The continuous seat and back cushions are attached to the frame for no-shift, no-slip comfort. Protective caps on the metal feet help to protect hard flooring. Simple and compact, the Modern Faux Leather Convertible Couch with Metal Legs is an easy choice for contemporary spaces that need to save room. 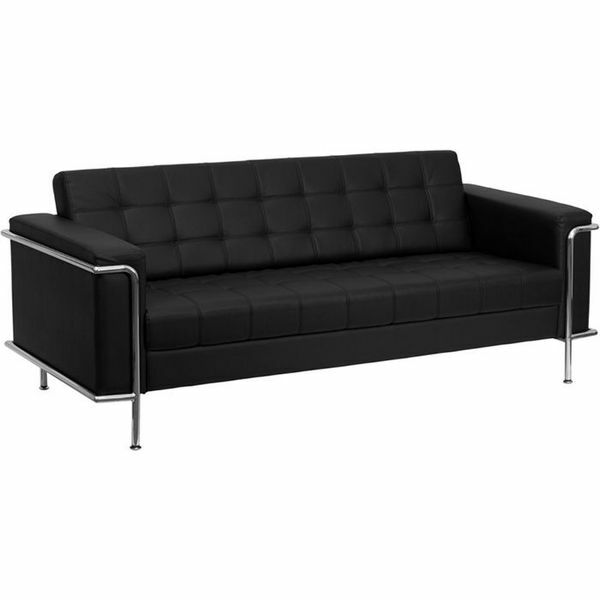 The couch features thick, supportive arms and mid-century modern style metal legs for support and measures 30 inches in length. The Bobkona Benford 2-Piece Chaise Sectional Sofa Collection with Faux Linen completes the look of a space with comfort and chic simplicity. 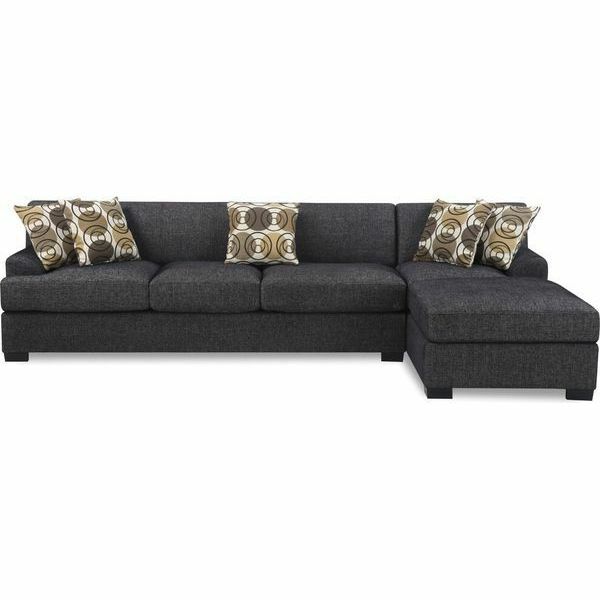 Its ultra durable microfiber fabric makes this sectional ideal for the family room, while its clean contemporary lines make it equally perfect for the modern formal living room. Tweed Fabric in a premium Cashmere Wool Blend. 50% Cashmere Wool 50% Synthetic Fiber. Polished full length external stainless steel frame joints are fully welded, grind, sealed and sanded. High Multi density foam seat and back cushions wrapped in silk layer provide comfort and cushion structure memory. with hand-tufted buttons. Complete with floor protection pad caps on legs. Matching chair, sofa and ottoman pieces are available to complete your look. Give yourself the spacious comfort of a sectional with the modern appeal that better suits your contemporary space with this Casa Andrea Milano 2 Piece Modern Contemporary Faux Leather Sectional Sofa. The sofa features an L-shaped design with an arm on one side and a chaise lounge on the other. Corners are “blocked”, nailed, and glued for strength and durability. With its low back, the Tosh Furniture Franco Modern Sectional Sofa is perfect for placing in the middle of a living room or open floor plan great room, as it will not obstruct views within the space. The bonded leather sofa features high density foam seat and back cushions and a heavy-duty wood frame with plenty of sturdiness.